Breed origin: The Caspian is believed to be one of the oldest horse or pony breeds in the world, descending from small Mesopotamian equines that, in competition with larger animals, faded from attention by the 7th century. However, they were brought back to public notice again when rediscovered in 1965 by Louise Firouz, an American-born breeder of Iranian horses living in Iran. In 2011, the remains of a horse dating back to 3400 BC were found at Gohar Tappeh, Iran, giving rise to claims that the Caspian is the oldest known breed of domestic horse that still exists. Distinguishing features: Caspians are known for their good temperaments, and the stallions are frequently handled by children. They usually stand between 100 to 120 cm tall, although better feeding conditions outside of Iran often result in taller ponies. They have a short, find head with large eyes and short ears. 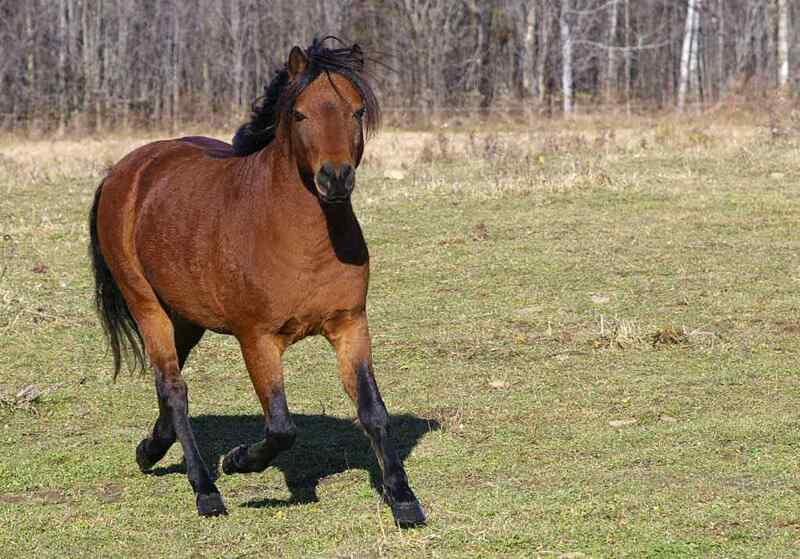 Their bodies are slim and graceful, with sloping shoulders, good withers and a high-set tail. The Caspian horse is extremely hardy, with strong feet that rarely need shoeing unless consistently working on very hard or rocky ground. The usual colours are bay, grey, black, dun or chestnut. Modern day Caspian: This breed of horse is mainly used in the towns of Amol, Babol, Shahi and Rasht in Northern Iran as cart ponies. They are valued for their speed and agility to pull or carry heavy loads in the narrow streets and bazaars. Caspains make excellent children’s mounts and are suitable for dressage but also mounted games. In harness they make a smart, responsive light driving pony and have successfully competed in national cross-country obstacle driving.